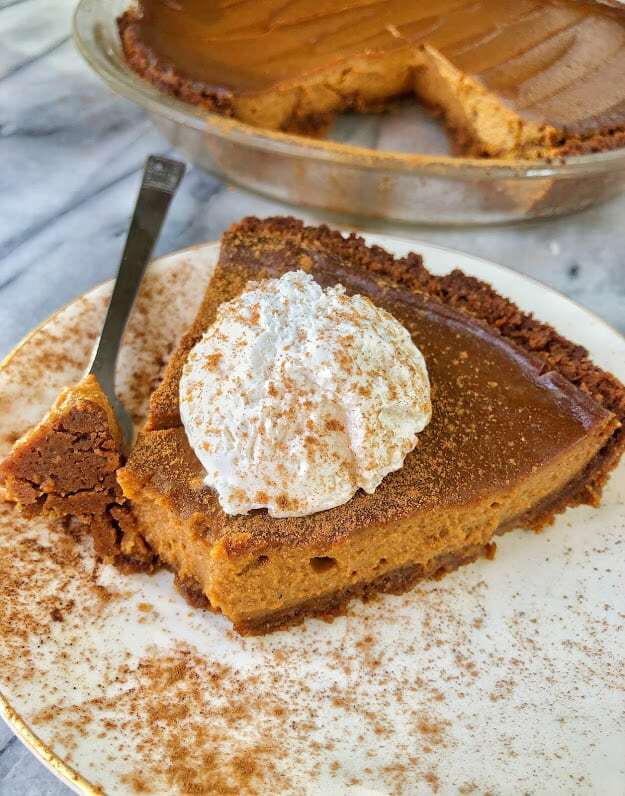 This Vegan Pumpkin Pie is made with a gingersnap crust and made simple and healthy ingredients. 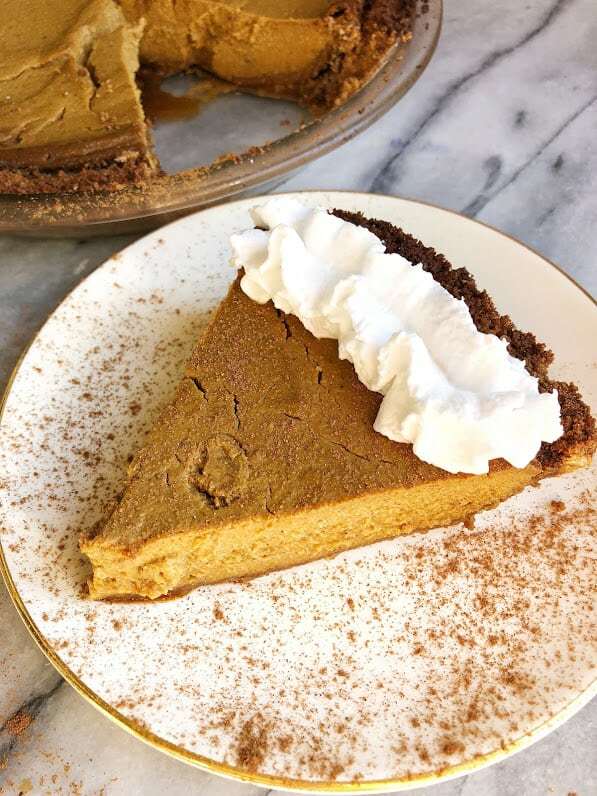 This delicious treat is easy to make and is a healthy Thanksgiving pie. “I think I like this vegan pumpkin pie even better than the paleo pumpkin pie…” The wise words of Tom Morrissey, my father!! My meat and potatoes, healthy-curious (willing to try anything I make with a healthy twist) father. 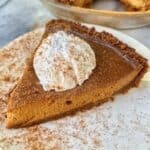 Last week I posted the recipe for my paleo pumpkin pie, and I had a lot of people reach out and ask if I could make a vegan version. It’s funny that on this blog, I have a lot of recipes that are paleo and also a lot of recipes that are vegan. Which is funny because they are kinda totally opposite. In reality, paleo baking doesn’t really work without eggs because many of the flours are really dependent on the egg to bind. Sometimes applesauce will work, but I really love the texture you get when using eggs. So I posted that recipe last week, and then decided I would make a very similar one, but this time without any eggs. I also really wanted to try to make one with tofu, since I made my chocolate frosting with tofu and it has been a completely hit. I figured the tofu would help to firm up the pie, kind of like how the coconut milk does in the other recipe. Then I got to thinking about the crust and realized that the crust also had eggs in it so that would need to change too. 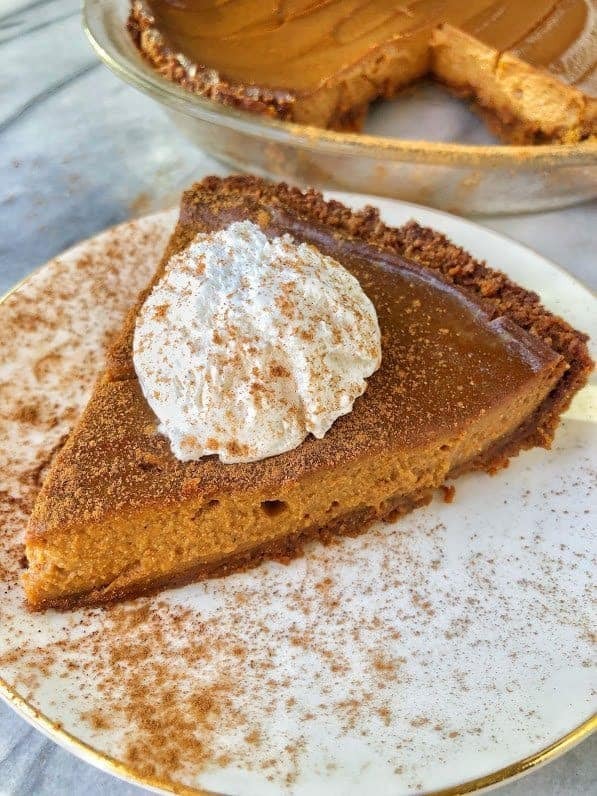 I got the idea to totally switch up the regular pie crust and make it a gingersnap crust. I found these vegan gingersnap cookies at the market and realized they would be PERFECT for the crust. So I got to baking my vegan pumpkin pie, and I absolutely nailed it on the first try. The pie came out perfectly firm, a little spicy from the gingerbread crust, and had the most perfect pumpkin pie flavor. Even enough so that when I put down the paleo pumpkin pie and the vegan pumpkin pie, that my dad said he liked the vegan one more! I was shocked, but excited. 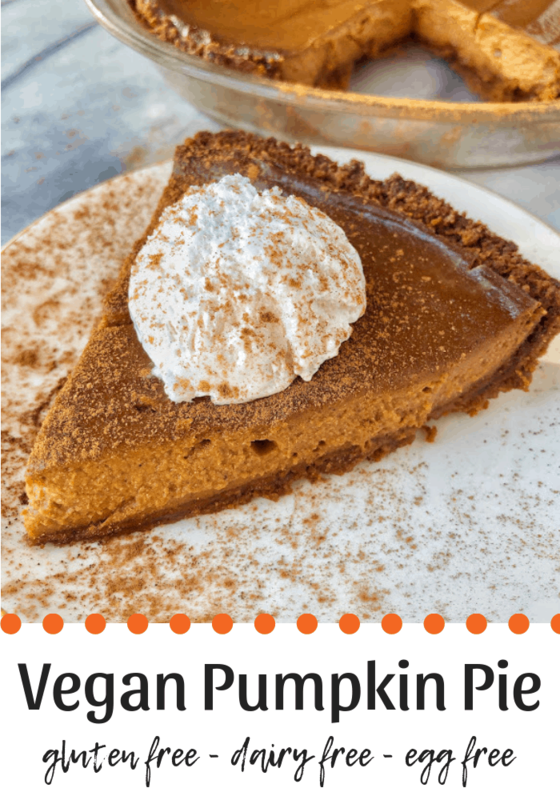 So if you’re looking for something delicious to bring to Thanksgiving and you have some vegans in the family (or not because hey, my dad isn’t vegan and he LOVED this pie!!) than this is the pie for you! For the crust, in a food processor blend cookies and coconut oil until fine crumbs. Once blended, press into 9 inch pie dish to form crust. Bake at 325F for 12 minutes. While crust is baking, blend all filling ingredients in a food processor, scraping down sides as necessary. The filling should be completely smooth. Once crust is completely cooled, add filling to pie and bake at 350F for 40-50 minutes or until no longer jiggly and knife inserted comes out clean. Store in refrigerator for at least 4 hours before serving.